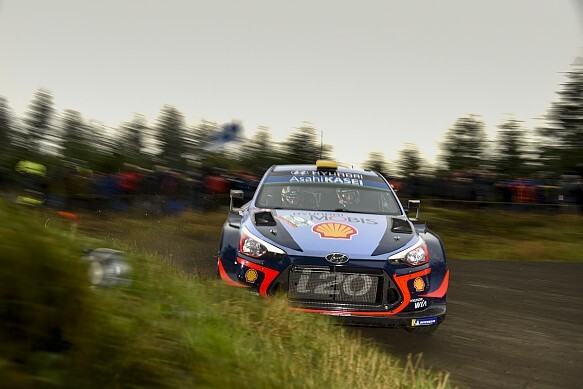 Leading World Rally Championship drivers believe the revised route for this year's Rally GB is the best itinerary produced since the event moved to Wales. The 2018 event, which starts on Thursday evening, has undergone significant change with two days in mid-Wales being compacted into Saturday, while the north Wales stages have been extended by closing public roads to link sections together. The work has been led by route coordinator Andrew Kellitt. 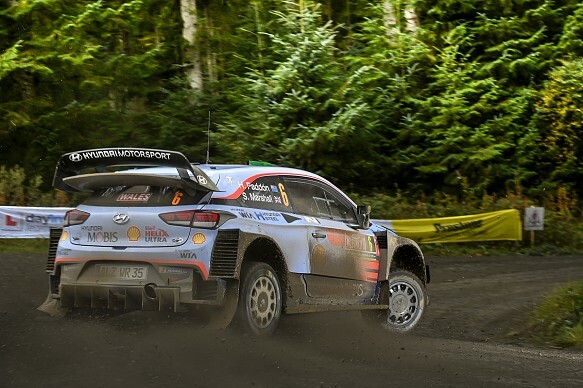 "The recce was good, the roads are in really nice condition," Hyundai's Thierry Neuville told Autosport. "And the new stages [the combined roads in north Wales] are really challenging - they are more narrow and more what I like." The most significant work has been undertaken on Brenig, where closed public roads link three forest stages that were previously separate. Neuville is a big fan of what will be the longest stage of the rally. "I like this one," he added. "The Tarmac sections make it really difficult - if it's wet, we never know with the grip. "On the second pass, there can be a lot of mud and we are there on the wrong [gravel] tyres and the [gravel] suspension, then there can be some black top [more slippery asphalt]. It will be a big challenge." Citroen's Craig Breen said he had never seen the Welsh roads in such good shape. "The summer's been really good over here and you can see that from the way the roads are looking," he said. "The route is the best I've ever seen for GB - the stages are just awesome. Jeez, Dyfi and Garth [Gartheiniog] are the best stages... outside of Ireland! "It's going to be tricky in mid-Wales, though. Depending on what the weather does, we're looking at an 80km loop of stages and the perfect tyre choice will fall right in the middle of the soft and medium tyre. It's going to be interesting." Neuville added that the perfect conditions could make it harder for drivers to pull time on their rivals. "Places like Myherin, they are wider and much faster," he said. "I would say 20% more corners are going to be flat-out than before and it will be difficult to make a difference. "The organisers took out a lot of the stones and the trees are gone, so if you run wide now there is less chance that you will take a wheel off or something like that." Kellitt admitted the roads are now quicker, telling Autosport: "It's inevitable that every time you grade the road, you are going to make it that little bit wider as the machine goes through. "A few of the drivers have mentioned that they would like to have had more time in mid-Wales and I can understand that. "We could have put more miles in, we could have run the stages to their fuller length, but we have to work to the regulations regarding the length of individual loops."